Nickel N02201 Welded Pipe, Nickel Alloy DIN 2.4068 Seamless Pipe, Nickel UNS N02201 Seamless Tubing, Nickel UNS N02201 Seamless Pipe, Nickel Alloy 201 Pipe, Nickel UNS N02201 Pipe, Alloy 201 Pipe, Nickel N02201 Tubing, Nickel DIN 2.4068 Welded Tubes, Nickel Werkstoff Nr. 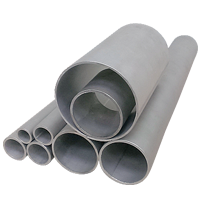 2.4068 Pipes, Nickel 201 Tubes Supplier in Mumbai, India. The Nickel 201 Pipes are one of the desirable materials with excellent mechanical properties and strengthened qualities. They are used commercially in industries due to its temperature resistant and corrosion resistant properties. They are modified version of nickel 200 with controlled carbon content and can withstand temperature ranges of 600 to 1400 degree Fahrenheit. They are extensively used in various process operated in industries. The dually certified chemistry provides the desired characteristics and successfully forms a single alloy with good physical and mechanical properties. 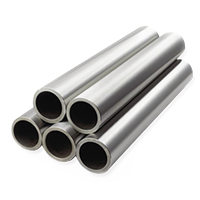 Nickel alloy pipes are widely used across the globe. The thickness and galvanized hot dipped is some of the common notification of the pipe and tubes. While manufacturing of the pipes and tubes it has to undergo different processes such as the Epoxy and FBE. This is done so as to increases the durability and quality of the material. The Seamless, Fabricated, ERW and Welded are some of its types. They are customized to certain specifications and the properties correctly withstand the tough conditions and environments. The pipe which is used to sustain extreme pressure and temperature with a good warranty is UNS N02201 pipes. They are useful in industrial applications that require good mechanical strength. The Arrow pipes and plate provide a material with 100% certified with great durability and reliability. The estimated length is 13500mm. ASTM, API, and ASME is some of the known standards. The seamless pipe is of ½”-10” size and that of welded is ½”-48”. They are used in industries demanding great durability. 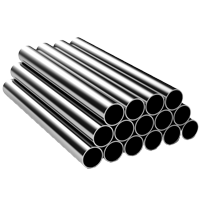 Nickel Alloy 201 Pipes and Tubing are extensively applied in extremely corrosive conditions in the below Industries. Poland, Macau, Iraq, Yemen, Lithuania, Germany, Trinidad & Tobago,Tunisia, Hong Kong, Croatia, Israel, South Korea, Peru, Brazil, Japan, Pakistan, Singapore, Taiwan, Qatar, United Kingdom, Ghana, Russia, Nigeria, Czech Republic, Gabon, Lebanon, Australia, Bolivia, Austria, Zimbabwe, Netherlands, Sweden, New Zealand, Bahrain, Bangladesh, Mexico, Iran, Oman, Vietnam, Bulgaria, Iran, Mongolia, Colombia, Morocco, France, China, Slovakia, Afghanistan, Kazakhstan, Norway, Greece, South Africa, Egypt, Angola, Malaysia, Nepal, Indonesia, Libya, Switzerland, Romania, United States, Chile, Tibet, Ireland, Nigeria, Canada, Denmark, Thailand, Serbia, Belgium, Estonia, Bhutan, Turkey, Mexico, Kenya, India, Puerto Rico, Algeria, Kuwait, Venezuela, Spain, Jordan, Sri Lanka, Portugal, Hungary, Azerbaijan, Finland, Costa Rica, United Arab Emirates, Namibia, Ukraine, Italy, Gambia, Chile, Poland, Argentina, Belarus, Philippines, Ecuador, Saudi Arabia.